Around The World with Eggs at Mrs. Pound’s new brunch! A speakeasy hidden behind the façade of a local padlock shop, Mrs. Pound is a quirky culinary gem located in the heart of Sheung Wan. Known for serving modern spins on traditional Southeast Asian fare, Mrs. Pound unveils a new weekend brunch menu themed on everyone’s favourite breakfast staple – eggs! offerings. Inspired by her remarkable travels around the world, each of the five new egg dishes is a tasty tribute to different cultures and cuisines by Head Chef Hoi. 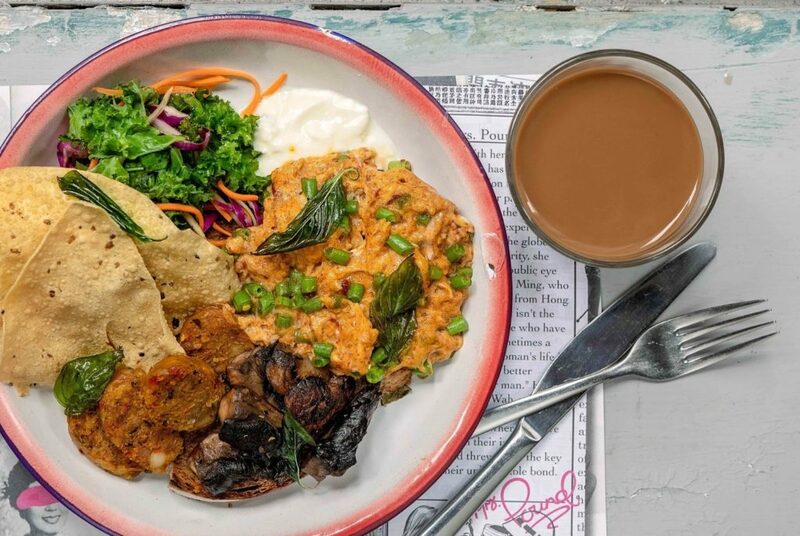 Perfect for big eaters, the Thai Chiang Mai Big Breakfast (HK$128) is a hefty plate of Chiang Mai spicy sausage, scrambled eggs with chilli French beans, mushrooms, sourdough toast and papadum – a Thai twist on the classic English Breakfast. Get your superfood fix with the Australian-inspired Avocado Smash (HK$128), a healthy option of smashed avocado, poached egg, Thai basil and basil pecorino on sourdough toast, served with kale salad. Fresh from the British Isles, the Scottish Smoked Quail Egg (HK$78) is a tantalizing mess of flavourful smoked quail egg, spiced pork and crunchy breadcrumbs. Take a quick trip to India with Curry Potato Quiche (HK$98), made with potato masala, onion, kale, egg and green papaya salad. Finally, the Japanese Okonomiyaki Skewers (HK$78) are an addicting treat of egg, cabbage, carrot, onion and Mrs. Pound’s secret Tokyo sauce. popular Ricotta Pancakes (HK$95, +HK$28 for vanilla/coconut ice cream), made with whipped ricotta butter, maple syrup and fresh fruit, and a unique Foie Gras Crème Brulee (HK$78) with mixed berries and framboise liqueur. 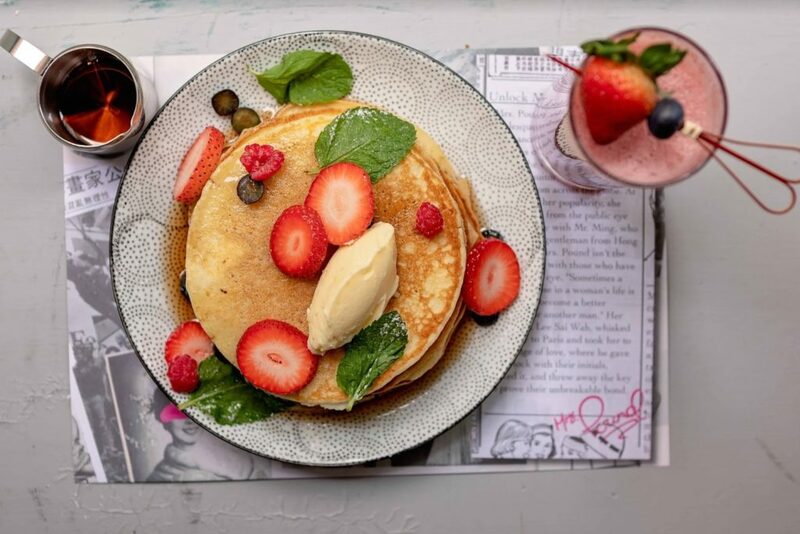 For an additional HK$150 per person from 12pm-4pm, wash the brunch feast down with a cheeky free-flow of Prosecco, Mimosa, Pound’s Bellini, House Red and House White Wines.